If you think that the only bloodlines worth buying have already passed through the ring this mixed-sale season, here are a few reasons to reconsider. While wintertime auctions are generally considered to be the appropriate venue for lesser breeding stock, a few unique factors this year will result in some high-quality mares being put under the hammer. And the same economic climate makes it likely that you'll see an uncommonly well-bred group of short yearlings in January and February, as well. Add to that a couple of mainstay advantages of wintertime auctions, and early 2010 might just be the best time to hold up your paddle at the auction ring. 5. World and industry economics. We've had signs that the Thoroughbred market is coming back and the world economy is improving -- but prices are still way off what they were two or three years ago. And sellers have come to expect lower prices -- and to set reserves accordingly. Horses that might have RNA'd last year will be sold with a much lower reserve, if any at all. 4. Health of carried foals. Most mares still carrying in January will not slip/abort. Buyers have better odds than they do in October/November sales that the in-foal mare they've bought will actually produce a live foal. 3. Winter upkeep. Half the winter is over. Half your hay bill (and boarding fees, and veterinary care) was paid by the previous owner. And because the horse you're buying was pointed to a wintertime sale, it benefited from extra attention to keep it in top form in a season when most horses tend to lose condition. 2. Self-enforced culling. 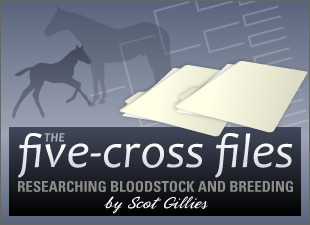 Breeders know it's not worth entering lesser bloodstock -- they just won't sell. It's been a buyers' market, and most buyers have found that their money is going a lot further than it ever has before -- meaning they can upgrade their stock. Bottom-tier horses don't sell at all, and horses just above the lowest quality don't get bids high enough to pay for entry fees and sales prep. Sellers have learned to leave those horses at home, or to sell them privately. 1. Quality Bloodstock. The number one reason to look at the early 2010 sales is a situation unique to right now. Lots of breeders who took a huge hit in 2009 yearling sales find themselves in the uncomfortable position of needing to raise funds quickly. Because they hadn't planned to have what amounts to a fire sale, they missed the early deadlines to enter weanlings or breeding stock in the fall sales. So some unusually high-quality mares were entered in the January and February mixed sales.